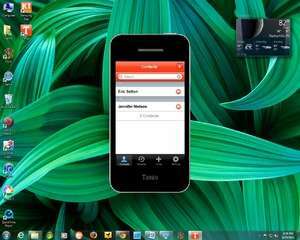 Tango is a free mobile-to-PC or mobile-to-mobile video calling software which allows for local and international calling with voice-over-IP (VoIP). With this program, you can call your friends and family on the go for free if its also been installed on your counterpart's mobile device or PC. All you need to use it is for the two parties to have the program installed. Unlike some other VoIP services and programs, Tango can also take advantage of your webcam to allow for free video conferences. Version 1.6.14117 is a freeware program which does not have restrictions and it's free so it doesn't cost anything. For security reasons, you should also check out the Tango download at LO4D.com which includes virus and malware tests. Additional screenshots of this application download may be available, too. Tango has a presence on social networks.